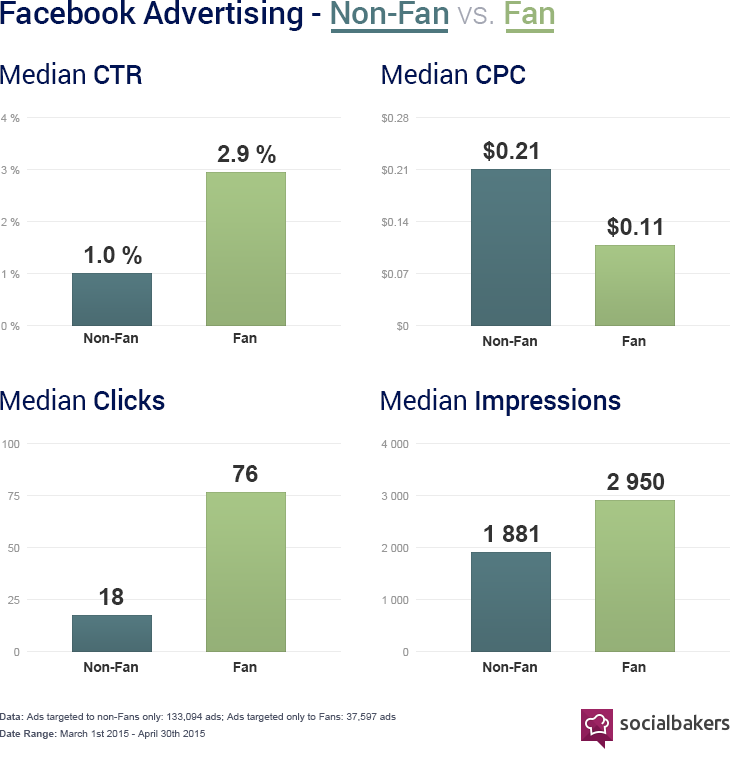 New Socialbakers data shows that Fans click on Facebook ads nearly 3 times as much as non-Fans. Yes, organic reach has declined. But when posts are promoted to Fans instead of non-Fans, marketers get more out of their money. Far more. At each turn, ads targeted to Fans outperformed those targeted only to non-Fans. They cost roughly the same per impression, but engagement metrics like cost-per-click and click-through rate make it clear just how much more valuable Fan targeting really is. While targeting some ads to non-Fans will always be necessary for expanding your audience, promoting engaging content to Fans remains the most valuable action for Facebook marketers.